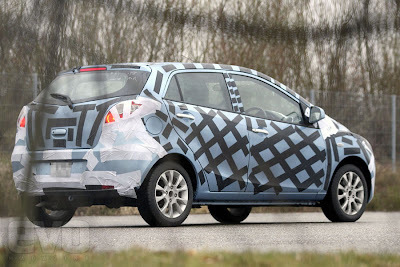 According to the UK's evo, this is a spy shot of the upcoming Mazda 1. However, it sure looks a lot like a Mazda 2. Mazda had shown a pretty radical little concept car called the Kiyora at the 2008 Paris Autoshow, however, this is a far cry from the swoopy lines and crazy scissors-style doors of the Kiyora. Full story below.